Here we take the Salter EK2205 air fryer and look a little bit closer at it. It’s an air fryer with a good amount of positive feedback from previous purchasers and this prompted us to see what all the fuss was about. So without further ado, here is our Salter Ek2205 air fryer review. 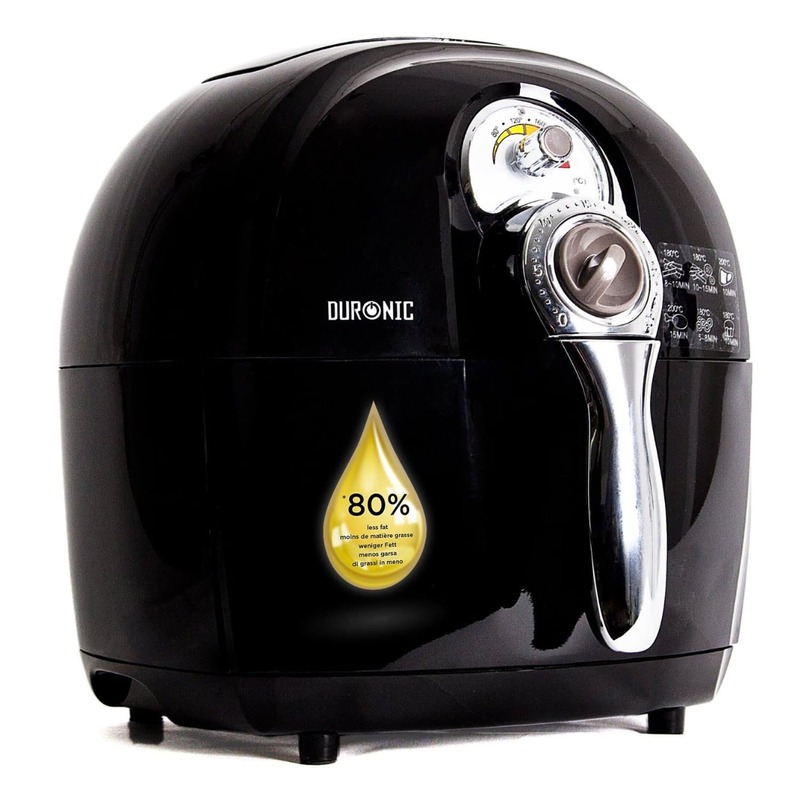 If you have been taking into consideration whether or not purchasing an air fryer is worth your money, you may want to take note of its benefits. For one, you can expect some features that are beneficial for cooking purposes. This includes the capability to cook low-fat meals, and much healthier foods. At the same time, it is very easy to clean up. 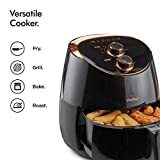 It also uses hot-air circulation, which means that the air fryer can cook the ingredients from all of the angles, which eliminates the need to use oil. As a bonus, you can also get the most out of your appliance, as most models of air fryers come with a recipe book which can help you to get started right away in terms of preparing healthy meal preparations. 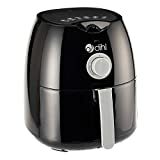 Whether you are planning to prepare your favorite muffins, French fries, chicken tenders, chips, or grilled vegetables, you can be assured that an air fryer can prepare them all. For this specific guide, we will take a look at one of the best models out there. Read along to read this Salter Air Fryer review. One of the healthier ways to fry your favorite food without losing the flavor is using Salter air fryer. This model is designed to allow you to enjoy fried food while using just a little, to zero oil. For this model, hot air is being circulated throughout the cooking capacity, thus ensuring those mouth-watering results. This means that you can enjoy your favorite treats without any guilt, while consuming fewer calories, preparing healthy meals for your loved ones. The Salter air fryer comes with a compact, sleek shape that will easily free up some of your kitchen space, and is also capable of cooking a wide range of low-fat meals. Whether you are preparing for a birthday cake, preparing crispy fried chicken, or cooking a roast dinner, all you have to do is to adjust the settings easily, setting the timer for some carefree cooking. Using the Salter air fryer allows you to enjoy your favorite fried dishes without having to compromise the taste unnecessarily. Aside from offering an impressive lower amount of calories and fat compared to deep fried meals, they also offer a much safer solution to actual frying. As a bonus, this model is also easy to use and comes with a removable cooking basket for better convenience. At the same time, because you only use less oil, it means less clean up at the same time. The use of rapid hot air technology also produces a much faster result, thus making the preparation of phenomenal food easier, with food that is amazingly succulent on the inside, and crisp on the outside. The Salter air fryer allows you to cook with just minimum or zero oil. The best part is that it will allow you to do so without losing any flavor, at all. The use of rapid air technology makes air circulate in this fryer, thus distributing heat quite evenly. It has something to do with the way air is circulated right inside the fryer while cooking, thus making sure that food is cooked evenly. Since this model does not come with a rotating paddle, it is easy to achieve even cooking using the fans which perform an amazing job in circulating air just around the food. 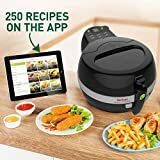 If you are taking into consideration purchasing a health fryer due to control in calorie intake, then this fryer will allow you to cook that tasty and crispy food with just one spoonful of oil. For chips, for example, you just need a few sprays of oil or cooking spray. Certain foods, including those pre-oiled frozen oven chips, do not require oil at all. All you have to do is to put them right into the air fryer and it will start cooking. This is an amazing news if you are aiming at losing some pounds, mainly because it means that you can still enjoy your favorite fried food, without doing so – deeply fried. The EK2205 Salter Air Fryer is very easy to use. For one, it comes with a 30-minute timer, along with a digital LCD display, and an automatic switch-off. All you have to do is to set the temperature right to a degree of 200 degrees Celsius, or 400 degrees Fahrenheit, place the food inside the basket and turn the switch on, with or without oil. If you are frying chips, all you need to do is to slide the cooking basket, shaking the chips constantly so that they will be cooked evenly. The cooking or frying stops right in as you remove the try in order to check the food, starting immediately when slotted right back in. This means that there is no need to reset. You will simply hear an audible alert right at the end of the complete cooking period. Salter EK2205 vs. EK2118 Models – Which is Better? Salter is a known brand which provides a guarantee of quality. For this reason, it comes with a wide range of products, including EK2118, or the EK2118V2 models. 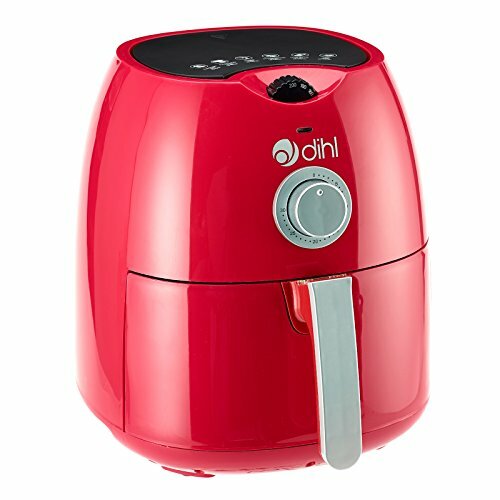 How do they fare with the EK2205 air fryer? The EK2118 air fryer comes with a higher wattage, 1500W, but comes with a 2.5 liter of internal air capacity. On the other hand, the EK2118V2 air fryer also features a 2.3 litre of internal air capacity, together with its 1500W power. These models come with dial controls for managing the temperature, and a timer, which is opposed to the digital controls that can be found on the EK2205 higher capacity model. The Salter EK2205 model features a non-stick coating found on the basket and pan, making cleaning a whole lot easier after you cook. Note that not all fryers are equipped with a non-stick coating feature on the tray and cooking basket, but it is found on this model. This model comes with a number of positive reviews on Amazon. For instance, customers are really pleased with the fact that this model offers even cooking. It also offers a good capacity, allowing catering for four people. Among the food that you can prepare includes wedges, chips, spring rolls, roast potatoes, and fish. It is also perfect for preparing quick meals. This could translate to saving on gas bills and electricity. 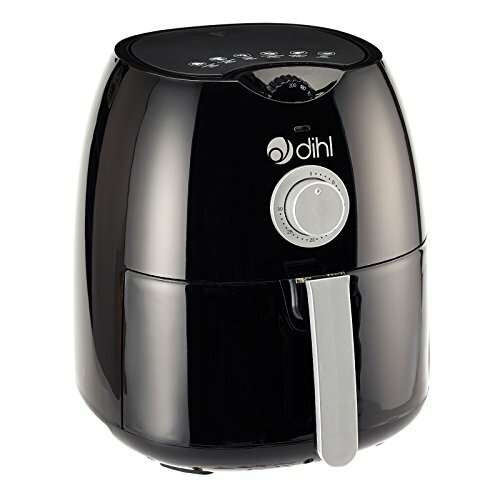 Some customers also love the stylish look of the air fryer, commenting on how quiet the appliance is when operating. According to customers, cleaning is also a breeze, as both the basket and pan can be hand washed easily. Any food drips or excess fat can be caught right into the drip pan, which can easily be washed in warm and soapy water. The outer parts can be cleaned easily using a damp cloth. The Salter brand is known as a well-reputed manufacturer of high-quality kitchen products which works in enhancing lifestyle. With more than 250 years of high-quality British innovation and design, they are trusted and well-known for their wide array of kitchen appliances, cutlery, bakeware, cookware, and a whole lot more. 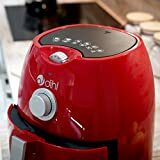 Overall, this Salter air fryer review shows that this model is no doubt a healthy way to prepare your favorite fried dish while using little or no oil. It is very convenient and simple way to use with a digital LCD display, an automatic switch-off, and a 30-minute timer. The air fryer also circulates hot air around, and right through the food for a thorough and fast cooking. This model is no doubt an amazing alternative to using a deep, fat fryer, thanks to its 1400W power, as well as a huge 4.5-litre capacity, along with a non-stick, removable coated cooking basket which makes the food very easy to serve, and the air fryer quite easy to clean. Discover this air fryer here, or you can jump straight to our top ten list of best overall air fryers here.